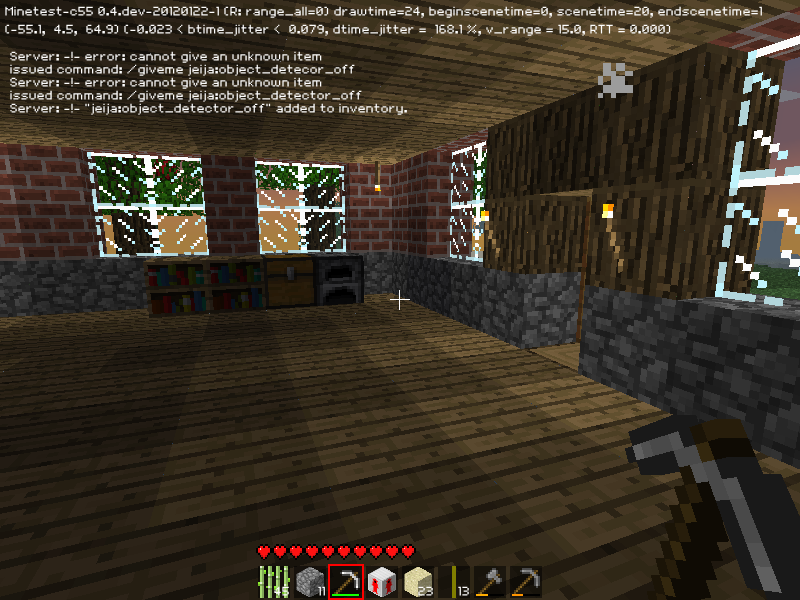 The mesecons [=minecraft redstone] mod. It adds some simple redstone connectors and multiple receptors and effectors. Adds more ores that can be crafted into tools. Crafted as usual (like you would craft a wood, stone, steel or MESE tool/sword), look on the wiki. Bronze: Fairly high durability (200 uses for all tools but shovels, shovels have 240 uses), fairly slow speed (~ stone tools). Silver: Fairly high durability (240 uses for all tools but shovels, shovels have 280 uses), fairly slow speed (a bit faster than bronze). Gold: Fairly high durability (180 uses for all tools but shovels, shovels have 220 uses), very high speed (~ MESE tools speed). Mithril: Fairly high durability (1000 uses for all tools but shovels, shovels have 1200 uses), extremely high speed (faster than MESE tools). Note: I did a botch job tell me what’s wrong with it! Description – Created for my children to add some colorful nodes to building and also to add light. 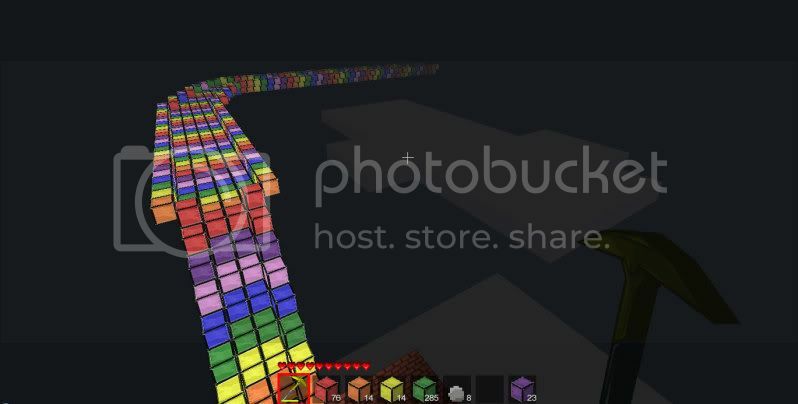 A custom texture and node for each of the ROYGBIV color space has been created for this mod. 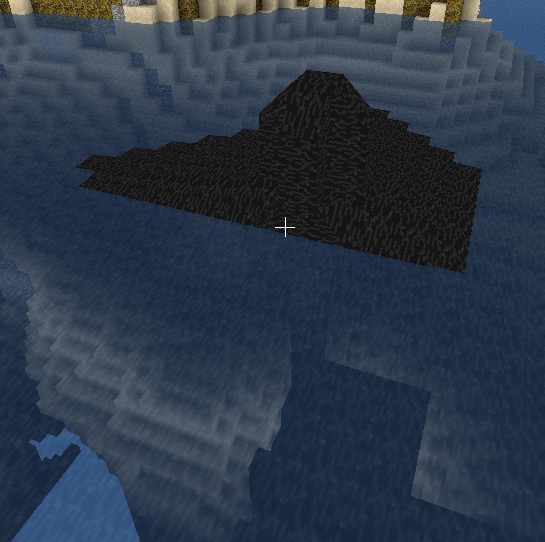 Oil will be generated under Water. You can use Pumps to pump Oil and you can use Pipes to transport it. If you build a Refinery you can convert Oil into Fuel Buckets. You can use the Fuel Buckets aus Furnace Fuel.